New cartoons about race cars are entertaining and educational at the same time! 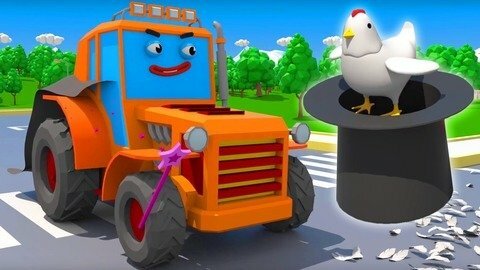 They have everything you love about our car cartoons – fast and naughty race cars, helpful tow truck and brave fire truck, funny and sometimes dangerous situations, and important life lessons. They also teach kids to help each other, work as a team and make friends. So join us and watch all episodes of cartoons about race cars cartoons online for free at SeeZisKids! Kids will see how race cars are lifted with cranes, and how they break down and are fixed. After an eventful working day, cars want to have some fun, and their favorite source of fun is racing! You will see all types of races in these cartoons for boys: extreme racing in the desert, classic race cars competition and races of different types of cars, and many more. Watch all episodes of the cartoons non-stop for free, we know for sure you will love it!